After you’re diagnosed with a brain tumor, you’ll have many questions and fears as you face the possibility of brain surgery. It’s important to know that minimally invasive surgery can be performed for many types of brain tumors. 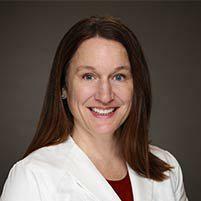 Dr. Carrie Shulman at The Florida Center for Minimally Invasive Neurosurgery has years of experience treating brain tumors using these options. If you have questions about brain tumors or surgical treatment, call the office in Clearwater, Tampa Bay, Florida, or book a consultation online. DNA inside every cell determines when the cell grows and dies. Some genes, called oncogenes, promote growth and help cells stay alive. Other genes, called tumor suppressor genes, slow down cell growth, repair DNA mistakes, and make cells die at the appropriate time. Brain tumors develop when changes occur in your DNA that alter the growth process, allowing cells to grow faster than normal and multiply uncontrollably. Inherited tendencies and environmental influences affect your risk of developing a brain tumor, but exactly what makes DNA change is not yet known. More than 150 different types of brain tumors have been identified. They’re placed into two groups: primary and metastatic. Primary brain tumors arise from brain tissues such as nerves, blood vessels, and glands in your brain. They may be malignant (cancerous) or benign (noncancerous). They rarely spread to other parts of your body, but they can invade nearby areas and destroy brain tissue. Metastatic brain tumors are more common than primary brain tumors. They develop when cancer starts elsewhere in your body and spreads to the brain. As one example, more than 40% of patients with lung cancer develop metastatic brain tumors. Brain tumors are treated with radiation therapy, chemotherapy, and surgery — alone or in any combination. Surgery, however, is usually the first line of treatment. During surgery, Dr. Shulman removes as much of the tumor as possible without affecting brain function. Even if the entire tumor can’t be removed, reducing its size relieves symptoms and leaves a smaller mass that must be treated with radiation. What is minimally invasive brain surgery? Dr. Shulman specializes in minimally invasive brain surgery, which can be used to remove many brain tumors that once required a large incision and removal of a large section of the skull. Minimally invasive surgery uses small incisions and specialized tools that access the brain through nasal cavities or a small “keyhole” opening in the skull. This type of surgery significantly minimizes your risk of damage to healthy brain tissue, nerves, and blood vessels.